The result of carefully processing the raw material. Once the company has taken delivery of the green coffee beans and after a meticulous quality control process, the road to real coffee begins. The beans are transformed from merely a raw material into a product which is ready for consumption by means of a precisely controlled manufacturing process. The typical roast determined by the company delivers a significant contribution for the flavour and aroma of the finished product. 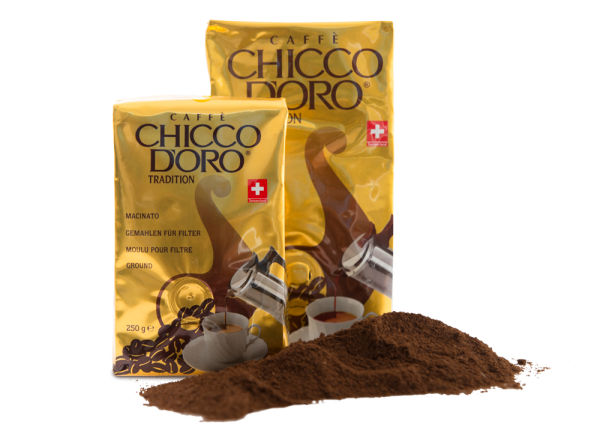 This results in Caffè Chicco d’Oro, which is recognised and treasured by passionate gourmets and new consumers alike. Advanced technology in combination with extensive expertise in the field of extraction methods is a guarantor of the optimum grinding grade for proponents of the classic method. Traditional grinding for mocha or Cremino – for an espresso just like in a café. 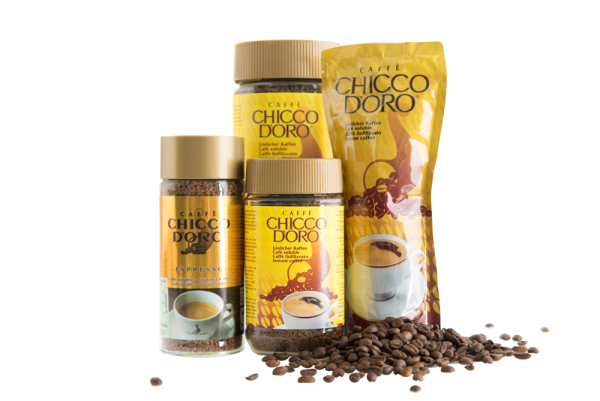 The Caffitaly Chicco d’Oro system was patented because it leaves the coffee flavour and aroma unaltered. 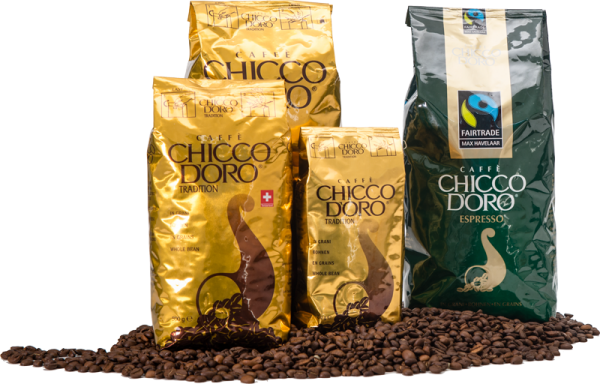 During brewing, high-pressure water is pumped through and is evenly distributed by a special filter which evenly dampens each Caffè-Chicco-d’Oro granule. This creates a rich, strong espresso with thick, compact cream. 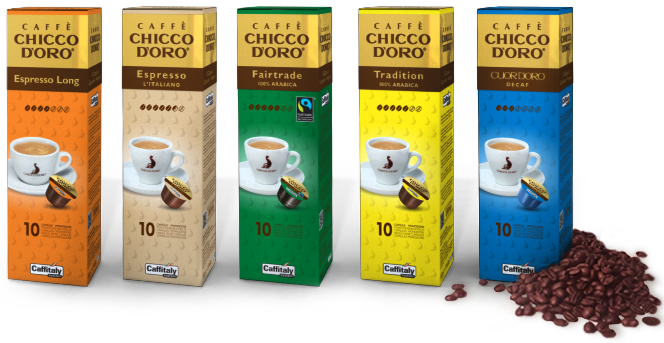 Only machines equipped with the exclusive Caffitaly System can use the Chicco d’Oro capsules. Capsules can have more than just coffee; they may also contain numerous types of tea, fruit teas, herbal teas, hot chocolate, ginseng and other beverages. 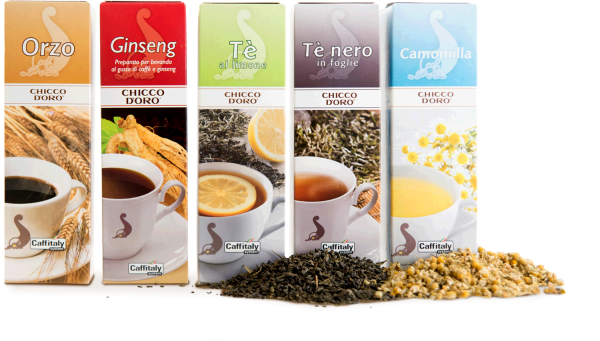 These are only some of the products from a broad range of products offered by the Chicco d’Oro Caffitaly system. The Caffitaly system is an exclusive system for unaltered coffee flavour and aroma until the last capsule, even after months.Only machines compatible with the exclusive Caffitaly System can use the Caffè Chicco d’Oro capsules.Unique design and appealing colours characterise the various models and meet all the requirements of the individual customer. 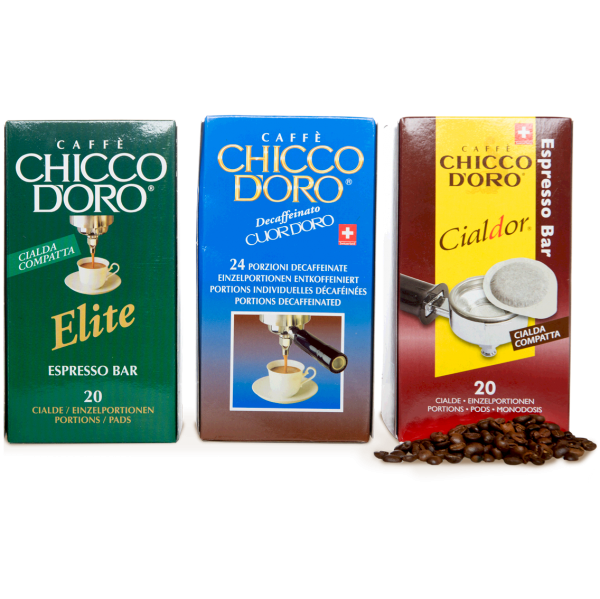 The quality of the espresso and the thick cream will delight the palate of all gourmets. 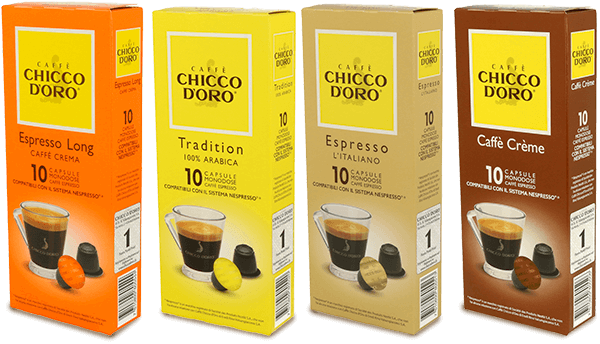 *Nespresso ® is a registered trademark of Société des Produits Nestlé S.A., which has no relationship with Caffè Chicco d’Oro di Eredi Rino Valsangiacomo S.A.
A pad guarantees that freshness and quality will be preserved in a single cup of coffee. 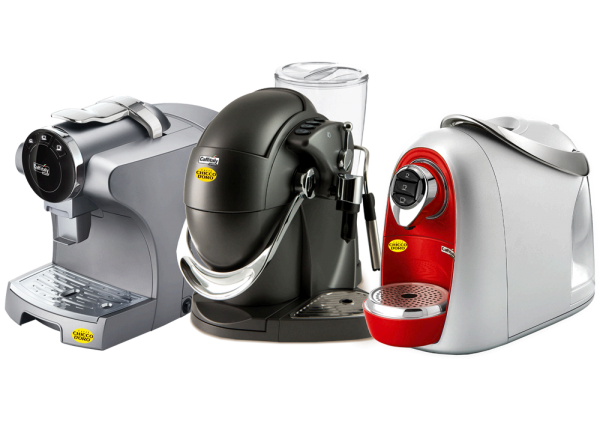 Now, you can easily have at home the coffee you enjoy so much from Italian bars. The simplicity of instant coffee turns every coffee break into a pleasant experience and simplifies the ritual of preparing coffee. This way, you can easily and quickly enjoy a caffeine break. 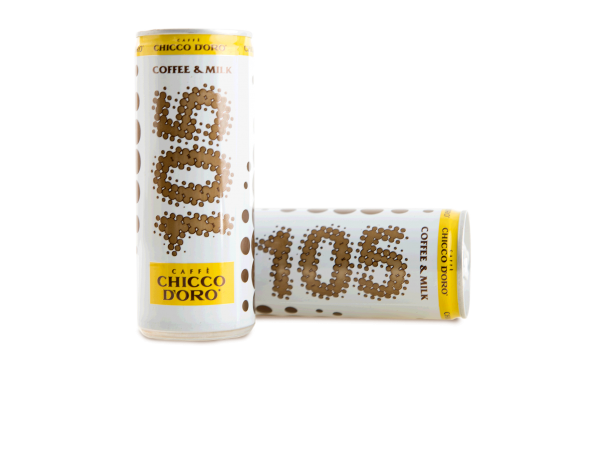 One-o-five Energy Inside, this is what 105 stands for: a sharp and refined-tasting natural recharge able to attend and charge you up all day long.